For some families, Christmas just wouldn’t be the same without a live Christmas tree. The Feed Store want to help perpetuate you traditional family Christmas with our selection of fresh Christmas trees. Some people enjoy the fresh scent and memory-inducing ambiance of a real tree. For others, it is long-lived family tradition. Choosing your tree is an activity the whole family can enjoy as you prepare for the holidays together. At the beginning of every December, we receive our shipment of fresh-cut trees for the holiday season. But don’t wait too long. They disappear quickly! We service Harrow, Kingsville, Leamington, Amherstburg, Essex, and other parts of Windsor and Essex County. 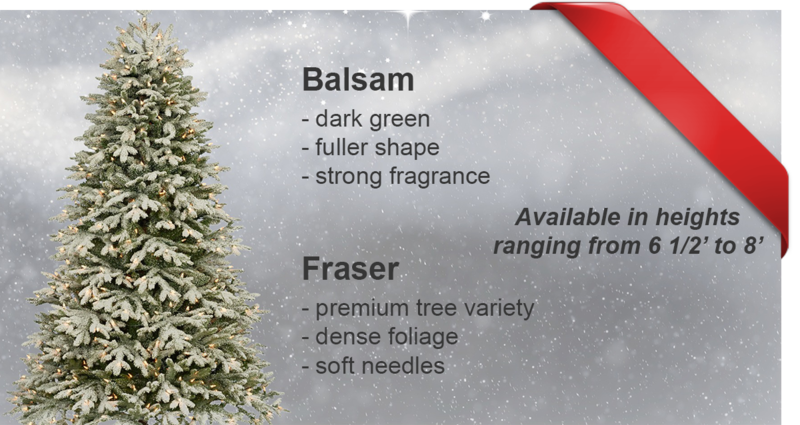 Contact us if you need delivery or have any questions about our Balsam and Fraser Christmas Trees.